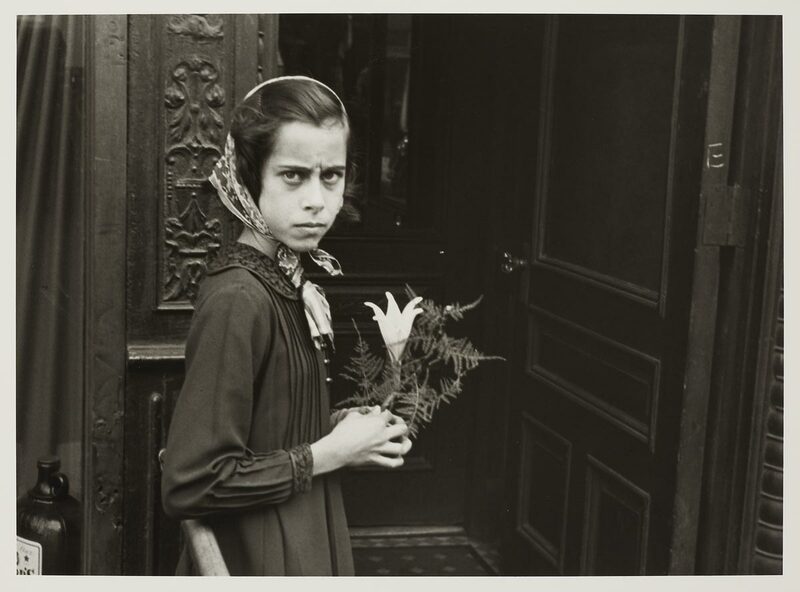 American photographer Helen Levitt (1913–2009) captured the life of New York City’s sidewalks for over five decades. She began photographing with a 35mm Leica in the mid-1930s, sometimes using a right-angle lens, which allowed her to take pictures surreptitiously. Air conditioning and television were still novelties at the time, so much of daily life happened in the streets. Levitt frequently photographed children at play, absorbed in their own dramas and intrigues and mostly indifferent to her presence. Though Levitt worked in the documentary style and was associated with the socially minded Photo League of New York, she was not a journalist, and her photographs reveal a unique “way of seeing” (the title of her 1965 book) rather than an overt message. This exhibition includes early black-and-white photographs, later color work, and her film In the Street (1952). Helen Levitt: In the Street is organized by Telfair Museum of Art, Savannah, Georgia. See the related exhibition James Nares: In the City.